By one theory, a work of art should be judged primarily by how well it accomplishes its own goals. Thus, anyone would concede that a Three Stooges short does not offer viewers eloquent dialogue, beautifully framed shots, or thoughtful commentary on the human condition, suggesting that it completely lacks merit, yet such films never intended to offer any rewards of that kind; instead, they were designed to make people laugh. And, since innumerable people over the decades have continued to watch and laugh at Three Stooges shorts, they must by this argument be embraced as successful works of art, in the context of their own aspirations. The list is copied from a Wikipedia table of the highest grossing films of “the first decade of the twenty-first century.” For these films, like all major films nowadays, were primarily designed to make money; and since these genre films accomplished that goal better than any of the others, they must be acknowledged as the ten best films of the decade. Of course, one may object to this conclusion on any number of minor and major grounds. As a technical flaw, this list is based upon the common misunderstanding that 2000 was the first year of the new millennium, so that 2000-2009 represents the new century’s “first decade.” But wiser readers of science fiction know that there was never a year zero, so that 2001 was actually the new millennium’s first year – which is why Arthur C. Clarke chose that year as his title, and is why a science fiction website is looking back at 2001-2010 as the millennium’s first decade. A proper top ten list using that timeframe, based on data from the Internet Movie Database, would drop The Lord of the Rings: The Two Towers and Shrek 2 to make room for two big hits from 2010, Toy Story 3 and Alice in Wonderland, which would be ranked four and five, while the still-in-theatres Harry Potter and the Deathly Hallows Part 1 (2010), currently number eleven, is on course to displace its immediate predecessor as the new number ten. A broader objection would be that, in claiming that these films were primarily focused on making money, I am wrongly elevating what was only one of several motives that included other, more aesthetic concerns. That is, while composing his epic poems, Homer was surely influenced by a desire to keep his royal patrons happy and thus ensure that he would continue to enjoy free room and board, and while crafting his plays, William Shakespeare kept a constant eye on the bottom line; but both writers were also seeking, obviously, to produce deep and meaningful works of art. Couldn’t this also be true of contemporary filmmakers? But the problem is that today’s films, more so than ever, are controlled at every step of production by innumerable masters, and although one artist can resolve to do something which might displease audiences and reduce profits in order to accord with a personal muse, such developments are impossible when scores of people are involved in every decision, as individual desires are smothered by the one priority everybody has in common, which is making money. True, there may still be a few dinosaurs, like Tim Burton or James Cameron, who can choose and dominate their own productions. However, the auteur theory in general, so beloved of critics, may work for François Truffaut’s The 400 Blows (1959) or Jean-Luc Godard’s Breathless (1960) but seems nonsensical when applied to modern Hollywood blockbusters. Thus, I recently read a scholarly article which, in keeping with the attitudes of the tribe, dutifully refers to “Alex Proyas’ I, Robot” (2004) [review here]. Give me a break. This film did not come into existence because director Proyas woke up one day and exclaimed, “I have a vision for a story about human beings and robots in the near future which I feel personally compelled to bring to the screen.” Rather, it was a film project that probably went through several producers and six script rewrites before Proyas was even brought on board, a film that was massively reshaped to accord with the demands of superstar Will Smith, a film that involved hundreds of visual and technical artists who surely did their work with only minimal feedback from Proyas, a film crediting three “second unit directors” who supervised numerous scenes when Proyas was not even present, and a film that undoubtedly did some final reshooting and reediting solely because certain aspects of the film did not test well with sample audiences. This regrettable but commercially successful film, then, did not emerge from an individual creator, but rather from a vast money-making machine. Others might grant that these films were focused on profitability, but would argue that applying this as a standard of judgment is crass and meaningless; surely, experienced critics should compile such a list based more on their reasoned judgments about the quality of recent films, not the number of dollars they earned. But the actual flaw in my methodology, I believe, is not that it is incorrect, but that it is premature. ; to truly measure the merits of a work of art, one must examine its earnings over a long period of time, which is not yet possible in the year 2011. Thus, in their day, Jean Renoir’s Rules of the Game (1939) and Orson Welles’ Citizen Kane (1941) were considered spectacular failures, but I am sure that today, those masterful films are racking up more DVD and downloading sales than any other French or American films released around the same time; and eventually, if not now, they will emerge as the most profitable films of their eras. So, while I am not particularly enamored of some of the films on the list, I can hope that the overlooked gems of this decade I would prefer, like Jerome Bixby’s The Man from Earth (2007) or Alien Trespass (2009) [review here], might someday be rediscovered and become big sellers on the direct-download-to-brain market when, say, the Pirates of the Caribbean films and the Avatar trilogy are long forgotten. This triumph of the science fiction and fantasy film, though, is unlikely to endure, since it seems driven primarily by the appeal of increasingly sophisticated special effects which will become less and less impressive as they become more and more commonplace. In the late nineteenth century, theatres attracted large audiences by employing new technologies to offer amazing spectacles: one could visit Le Théâtre du Grand-Guignol in Paris and watch a man have his head cut off by a guillotine; in New York, a production of Ben-Hur presented a chariot race with real horses on stage. But when films came along which could provide even better thrills, such dramas were no longer compelling, and the plays from the period that we remember today are the intimate, character-driven dramas of Henrik Ibsen and Anton Chekhov. Similarly, at a time when commercials and video games have better special effects than Avatar [review here], that film will endure in the popular imagination only if people regard it as a thought-provoking and profound story, which strikes me as highly unlikely (but for now, let’s leave that argument to posterity). The special effects in 2001: A Space Odyssey (1968) [retrospective review here] still look pretty good today, but we keep watching that film solely because of its inexhaustible mysteries, not its visual splendor, unlike another film from the time with equally good effects, Gerry and Sylvia Anderson’s insipid Döppelganger (aka Journey to the Far Side of the Sun) (1969). Thus, though I initially tried to dodge the responsibility, the task of critics remains not to assess which films are profitable today (since that is covered in news reports anyway), but rather to predict which films might still be profitable twenty, fifty, or one hundred years from today – because, like Rules of the Game, Citizen Kane, and 2001, people will still find them interesting. And if playing that game, I might actually place a bet on some of the films on the current list – such as The Lord of the Rings trilogy, which lamentably focuses too much on Aragorn’s war and not enough on Frodo and Sam’s quest but otherwise qualifies as an admirable adaptation of a classic fantasy novel, and The Dark Knight [review here], the film which provocatively argues that in order to become a superhero or supervillain, you must be clinically insane. Also in the category of blockbusters today that might be blockbusters tomorrow would be Inception (2010) [review here], a film I am still in the process of figuring out; Wall▪E (2008) [review here], an iconoclastic meditation on humanity’s future in space; and Eternal Sunshine of the Spotless Mind (2004), which follows no genre conventions but is nevertheless a clever look at the possible impact of imagined new technology on a future society. Then there are the box-office disappointments, and outright flops, that merit a second look, such as The Invasion (2007) [review here], which I still believe might someday be accepted as the best adaptation of its oft-film story about pod people; Looney Tunes: Back in Action (2003) [review here], which should become a perennial favorite like the classic cartoons that inspired it; and The Hitchhiker’s Guide to the Galaxy (2005) [review here], which I initially panned as inferior to previous adaptations, though I have come to appreciate it on its own terms as a kinder, gentler version of Douglas Adams’ wacky satire. Finally, there are the under-the-radar films previously referenced: Alien Trespass, which uniquely captures both the klutzy charm and genuine virtues of the 1950s science fiction film, and Jerome Bixby’s The Man from Earth, a true test of the proposition that science fiction is a literature of ideas, since the entire film is merely a filmed conversation between several characters, with nary a special effect in sight, but fascinating nevertheless. 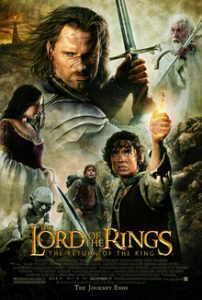 So, if one counts The Lord of the Rings as a single movie released in three parts, I have compiled the desired list, perfectly harmonizing with humanity’s strange fixation on the number of digits on our hands to select exactly ten films from the first ten years of the decade as potential candidates for cinematic immortality. And if your favorite didn’t happen to make the list, it’s entirely possible that’s because I never saw it, since I am not in the habit of rushing to the theatre every weekend to check out all the latest releases. Some might say that this makes me unqualified to pick out the decade’s best films, but the unfortunate truth is: everybody is unqualified for the task. For, as one further consequence of the current profitability of science fiction and fantasy films, people all over the world are making lots and lots of them. 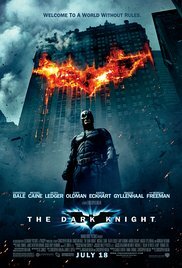 If you search the Internet Movie Database for science fiction films released between January 1, 2001 and December 31, 2010, you will get a list of 1404 films; for fantasy films in the same period, 1657. Have you seen all 3061 of them? I actually scrolled through the list of science fiction films, the overwhelming majority of which I had not even heard of, and it’s true that most of them sound pretty dreadful; but how can anybody be sure until they have watched them? Therefore, any list of the decade’s most memorable films must be provisional, because there may be some wonderful but unknown films from the last decade just waiting for a Columbus to bring them to the world’s attention and put them in competition for future positions on ten best lists. So, if all of us lack the significant data needed for a proper assessment of this decade’s films – long-term monetary earnings and a thorough knowledge of all possible candidates – then why does anyone bother to compile these sorts of lists? The answer is related to the main reason why people are producing all of these science fiction and fantasy films: editors pay good money for writers to generate these retrospective analyses, since people are interested in reading them. Thus, I fell into the trap of writing this essay, and you fell into the trap of reading it. As I have argued elsewhere [commentary here], major motion pictures are the pyramids of contemporary civilization – massive, collectively constructed monuments that people feel compelled to constantly visit, contemplate, and admire; and because of our cultural fascination with films, any excuse for another look will do. and replace them with V for Vendetta, Minority Report, District 9, and Shaun of the Dead. I just about tolerate Inception because, although it is boring in parts, it does at least try to be interesting the rest of the time. Number are in Millions, meaning that Avatar did over 2.7 Billion!